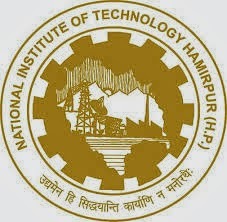 About Organization: National Institute of Technology Hamirpur is one of the twenty NITs of the country, established in 1986 as Regional Engineering College, as a joint and cooperative enterprise of the Govt. of India and Govt. of Himachal Pradesh. How to Apply: Applications should reach the office of the P.I Department of Civil Engineering, NIT Hamirpur (H.P). The eligible candidates will be informed for the date of interview after the receipt of the applications via emails.